Agents of the Local Police of Totana detained on January 12 a local man in the town, for an alleged crime of robbery with violence and intimidation, after that individual entered a multi-store trade with a kitchen knife, as reported by sources of the Headquarters. The event took place after 22:00 on the night of that day when this man entered armed and wearing the hood of the sweatshirt that he wore to try not to be recognized. However, the robbery could be frustrated by the clerk, managing to repel the delinquent, who fled. Then the affected requested help to the Local Police of Totana, through the telephone 092, personating a patrol immediately in the establishment. Since the shop had security cameras, the agents proceeded to view the recordings, where it was possible to appreciate the physical characteristics and clothing of the robber, being able to be recognized by his appearance, and being a known subject. Immediately, a device was started to locate him, being quickly found and arrested. 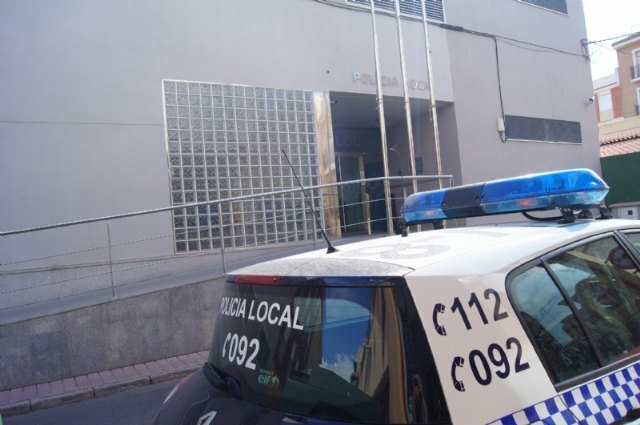 After his transfer to the Emergency Service of the Health Center to be treated, the alleged offender was handed over to the Civil Guard Barracks along with the appropriate procedures and the weapon with which he committed the robbery.